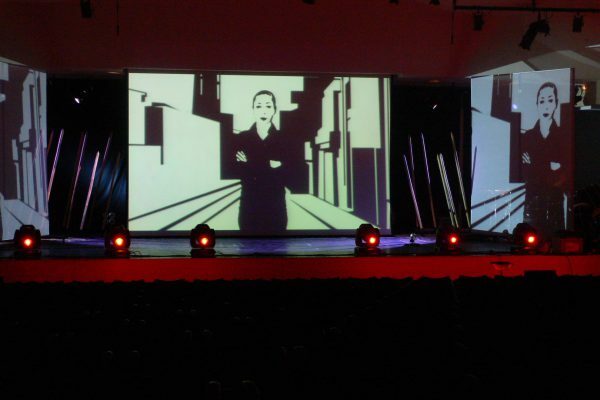 The first creative proposal by Medea Electronique, which draws inspiration from the myth of Medea, conflicting human emotions, transitions in these and the mores of society, seen through the prism of modern technology. 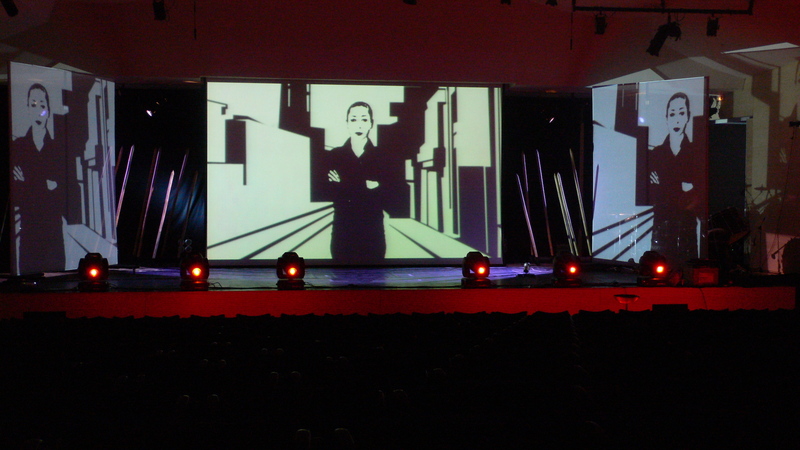 The work utilises applied Interactive Technology to process visual and audio data in a live performance. 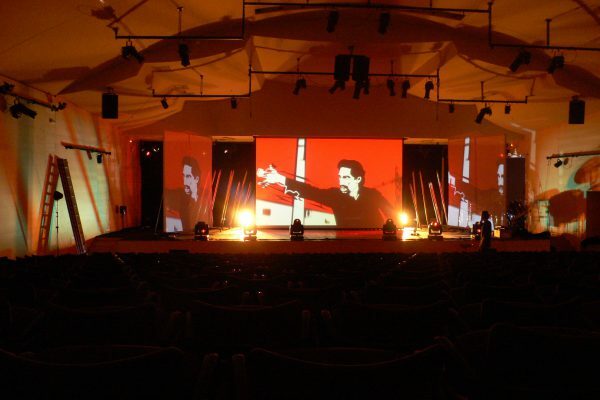 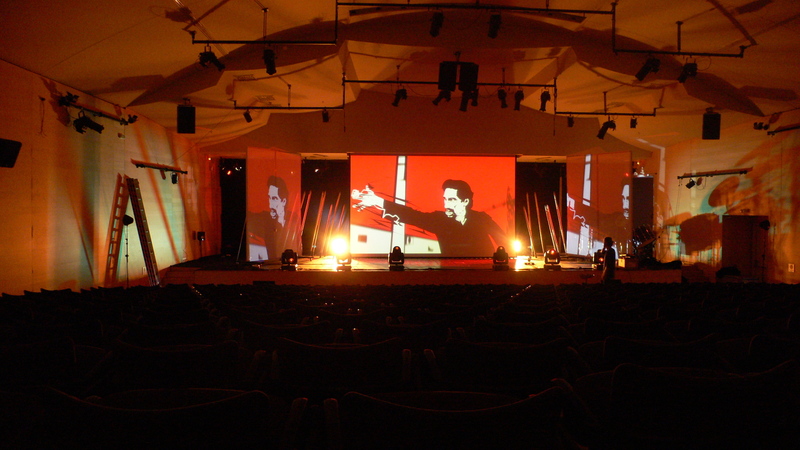 The specific placement of multiple visual, audio and light foci around the audience creates a dynamic environment rendering the action projected multi-dimensional and multi-directional. 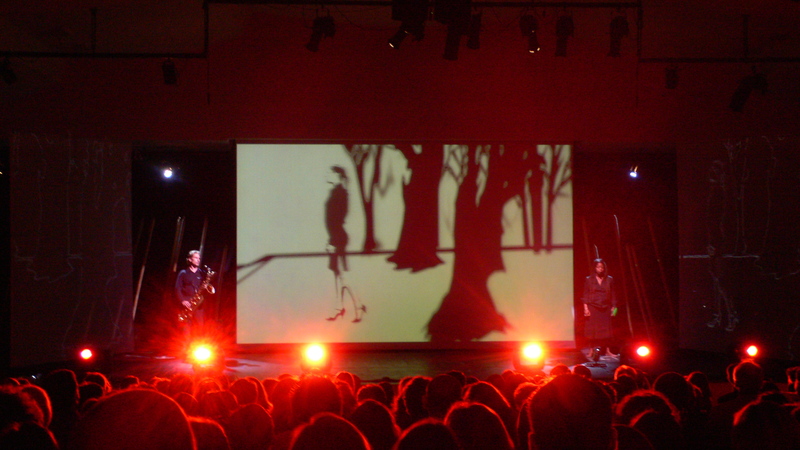 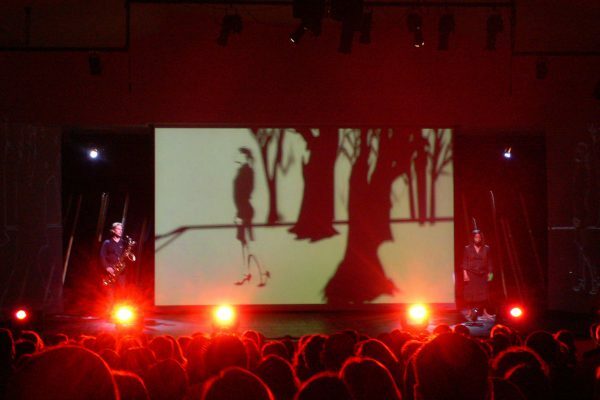 During the piece, the characters’ emotions are expressed through the audiovisual material, while projections of the (unified) foci of visual material throughout the space present the action of the performers.